If you know me…you know that the forest is my home. These days are wild orchid days, and when the forest opens up to the light and the stillness of the wetlands and its inhabitants…I will be there for short mindful moments before sunset. 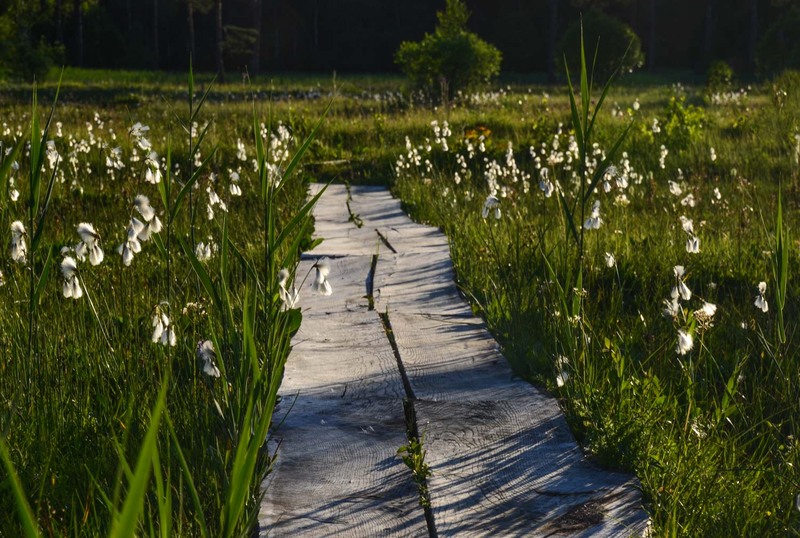 Walking slowly, not to disturb anyone or anything, I follow the boardwalk between nodding armies of cotton grass or bog cotton. The orchids here are mostly Dactylorhiza with subspecies – marsh orchids. Listera ovata in the middle, lowest row. In the setting sun, the rays shine enigmatic life to everything growing. The tiny purple marshlocks glow and the grasses throw flames of greens your way. Me too. Colourful and so much spring feeling. Then you have more wonders to wait for. I will look for this book – never heard of it. But my feelings and fascination for the forest was there already as a child. Oh sorry this is a German book by Christian Rätsch with the name DER HEILIGE HAIN not available in English as far as I could see.